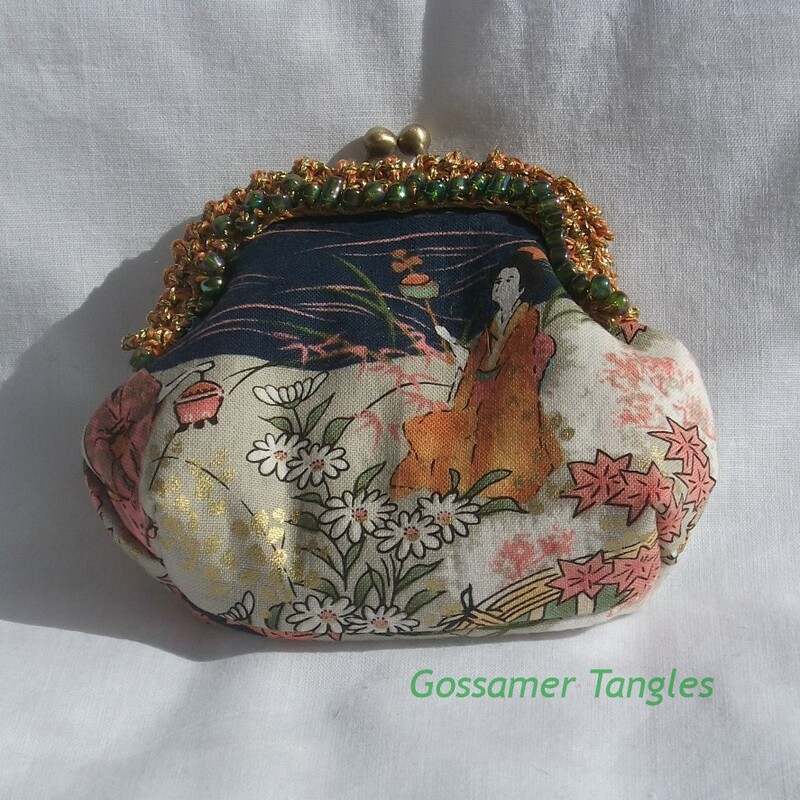 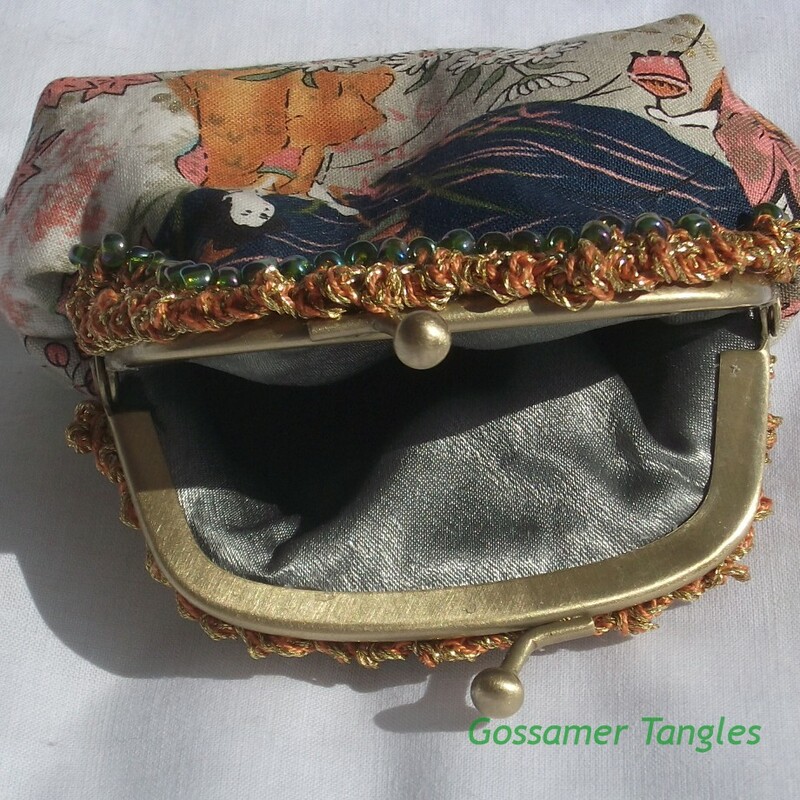 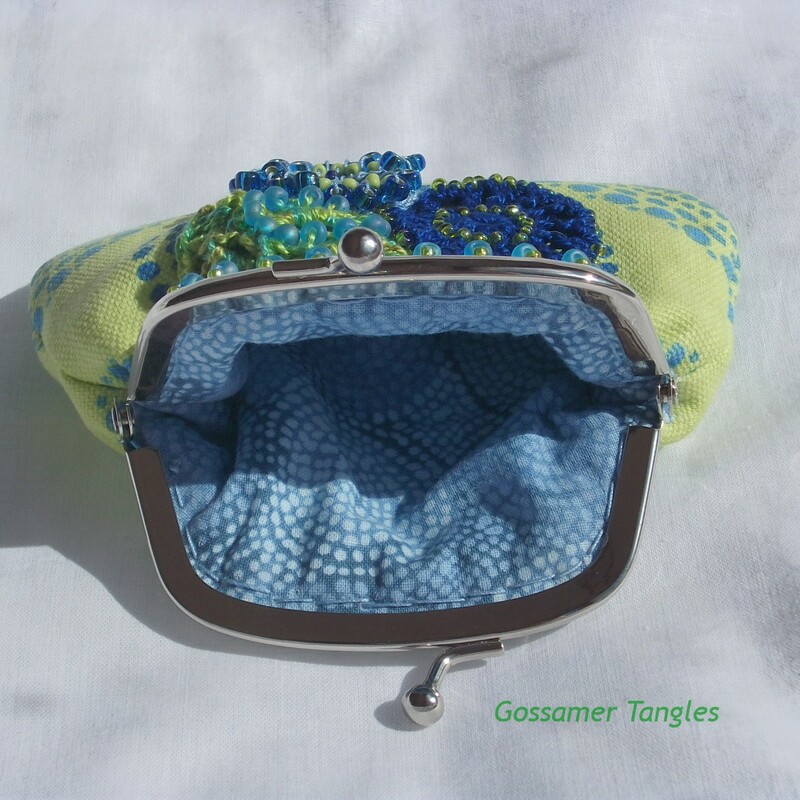 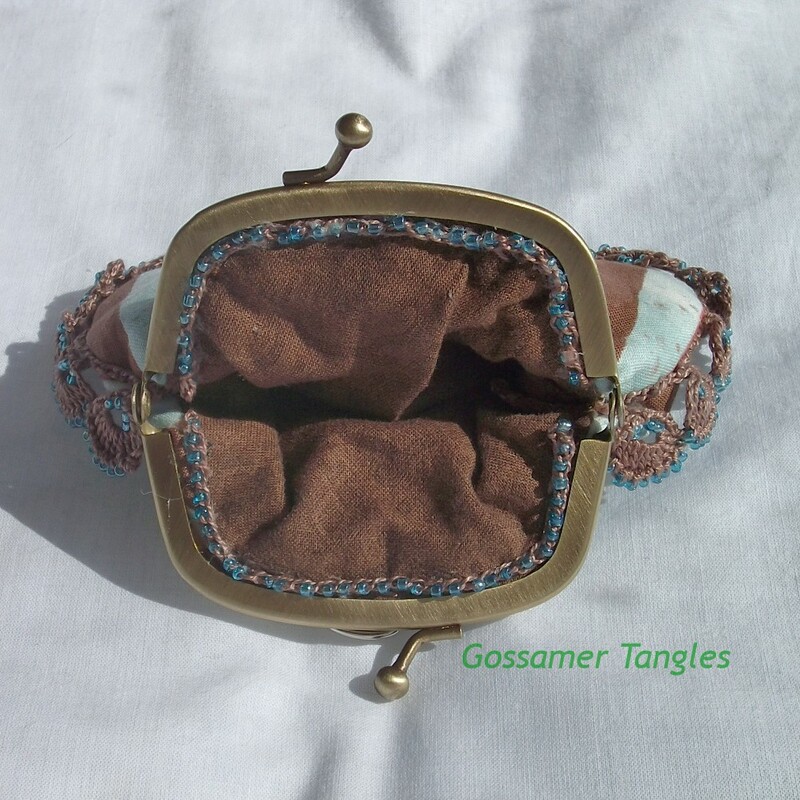 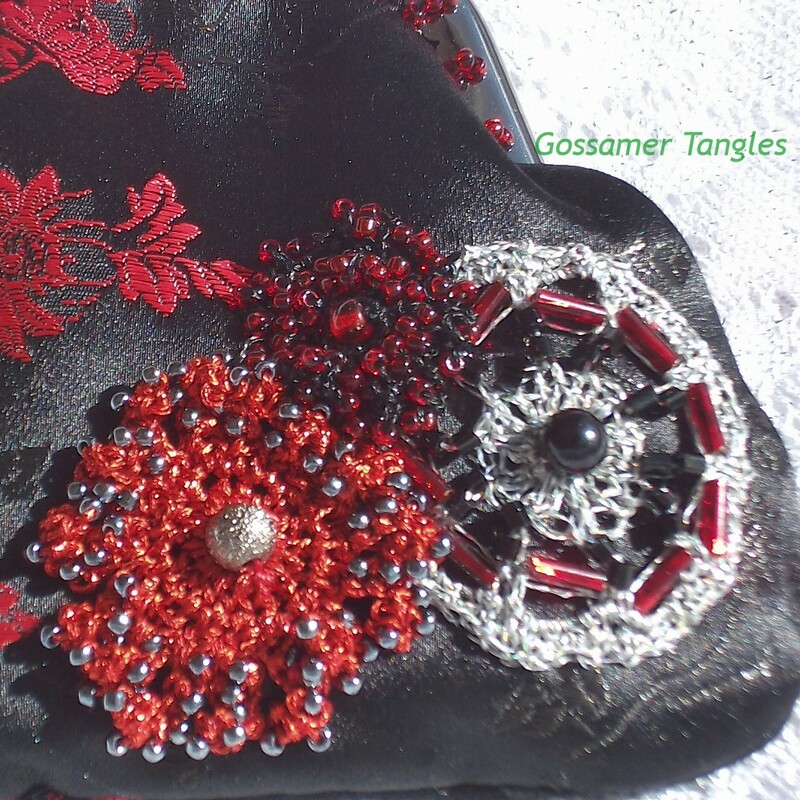 Gossamer Tangles is introducing a new product line this week -- kiss clasp purses! 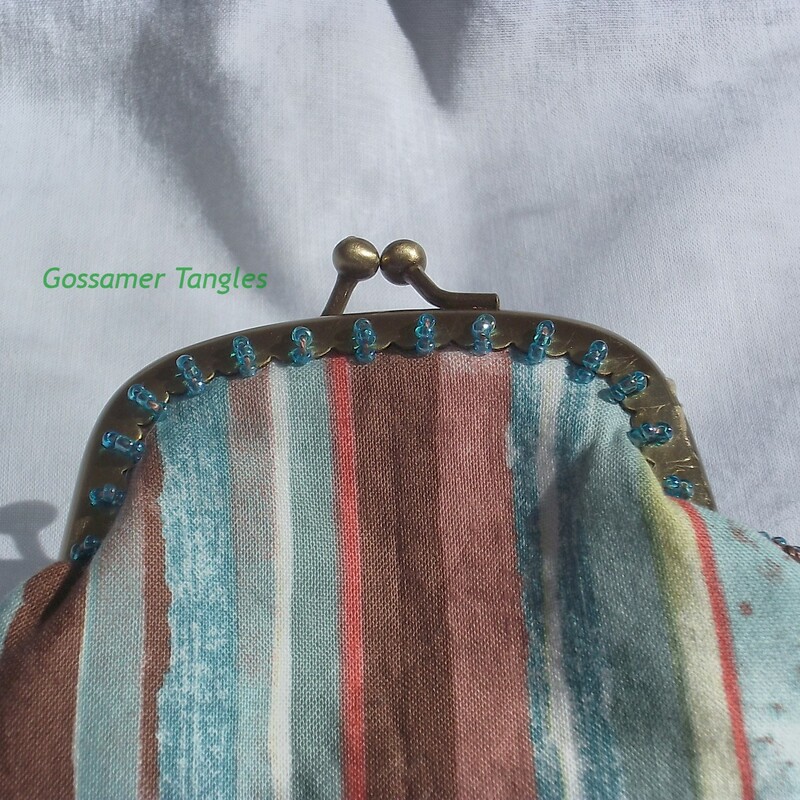 I have always loved bags with this type of closure, so I decided to make a few and add a twist of Gossamer Tangles' style. 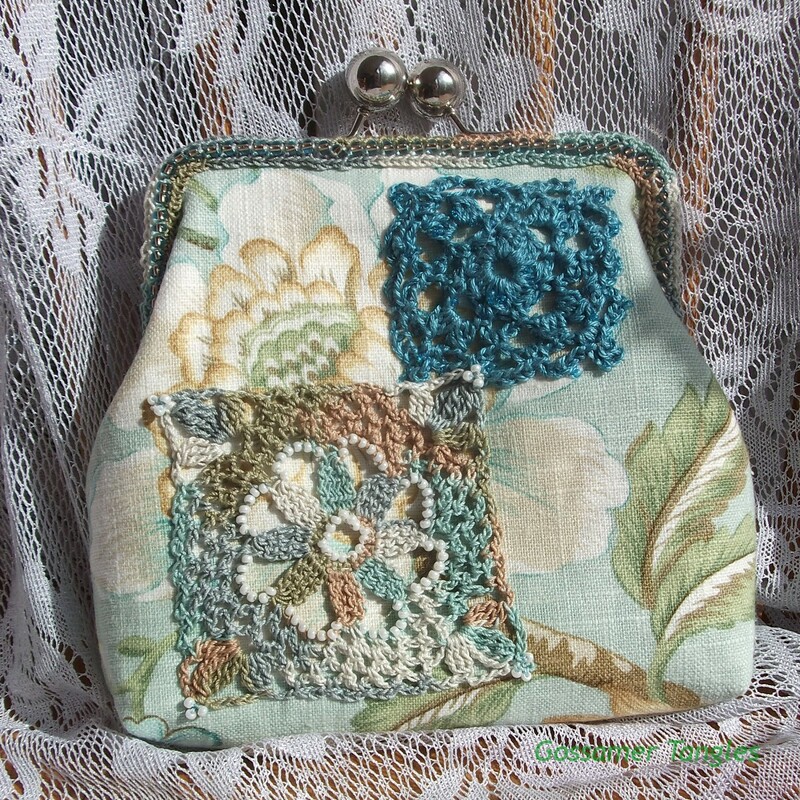 I found a few web tutorials to be helpful when learning how to put these bags together. 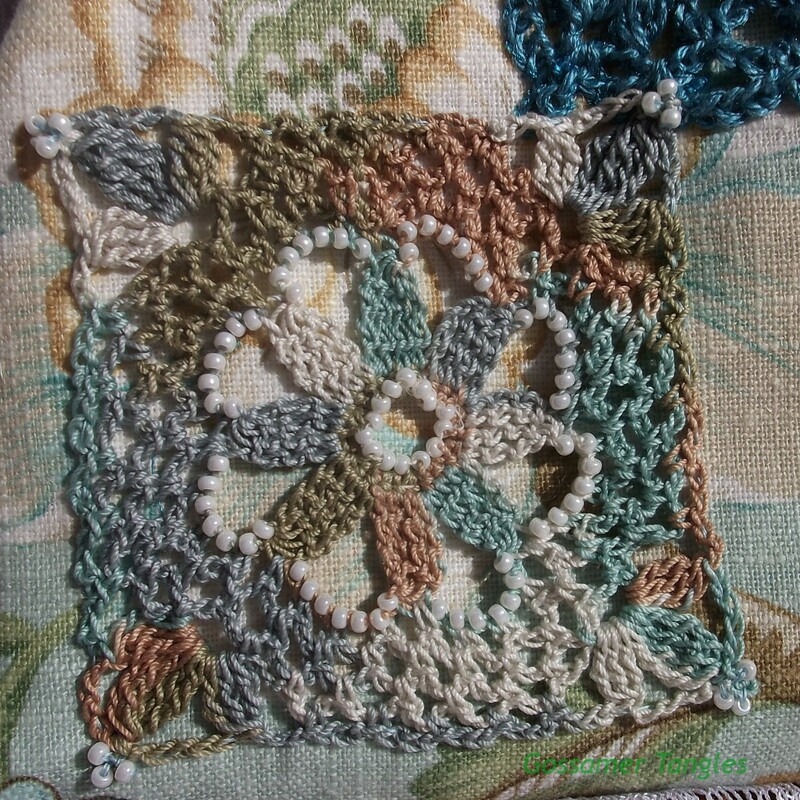 The one on the Charise Creates blog was particularly good at teaching how to create your own pattern. 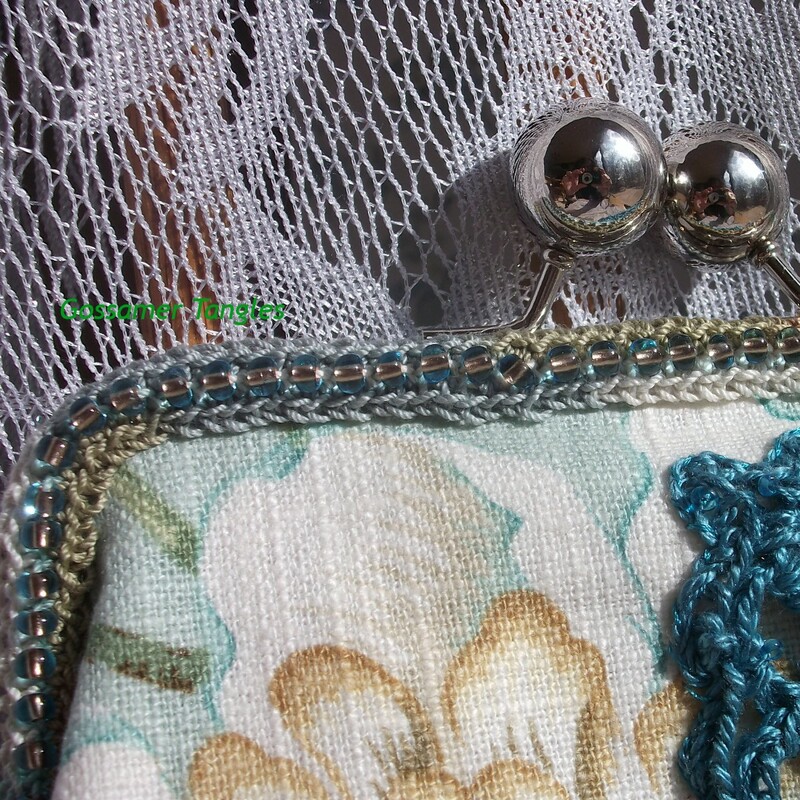 Two others that I found to be helpful in terms of providing advice on how to sew the bags together were the Moda Bake Shop and Sew 4 Home tutorials. 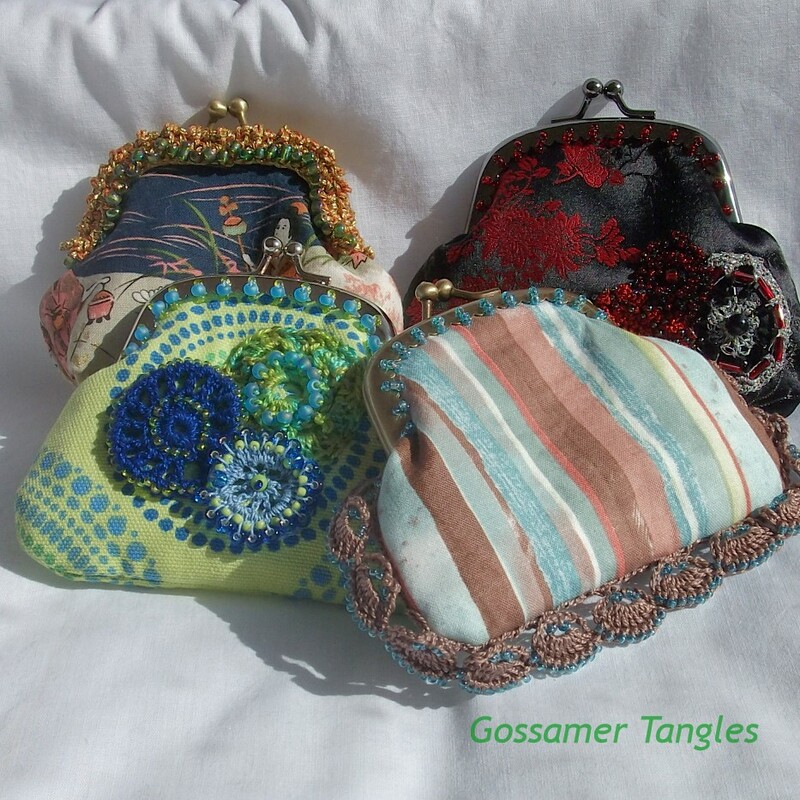 I created four small bags. 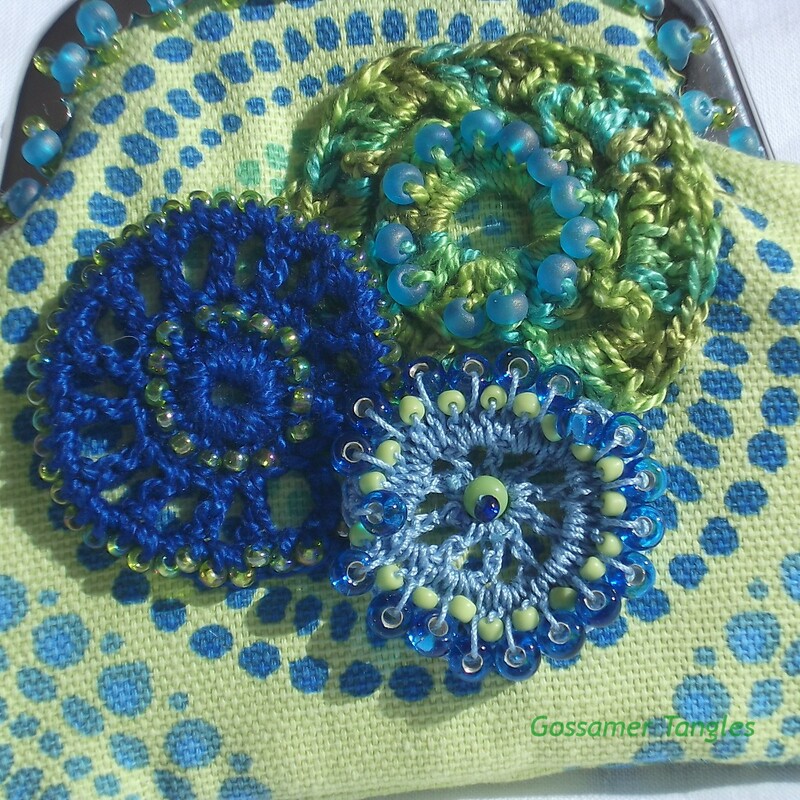 Each has unique crocheted and beaded embellishments. 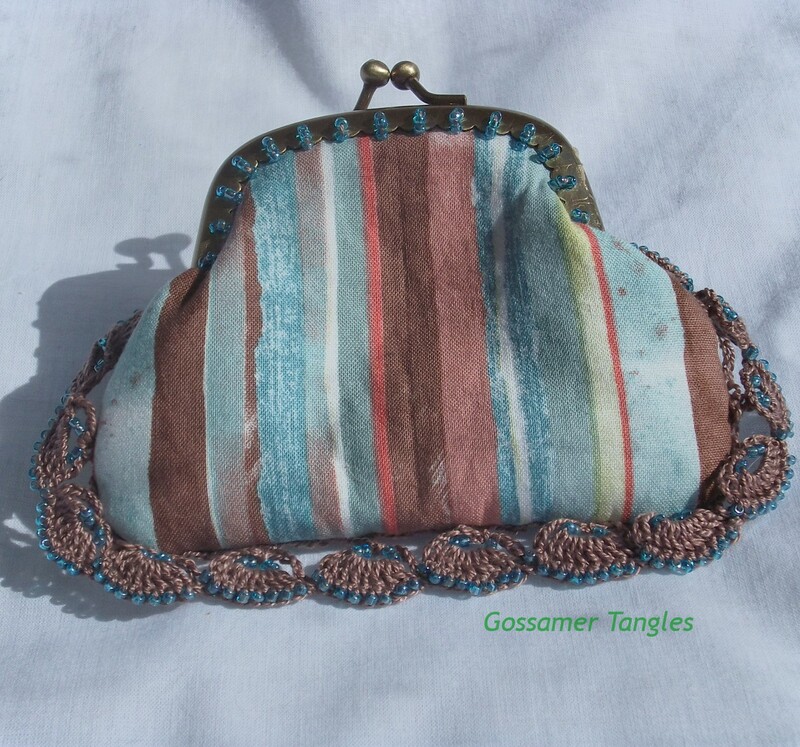 These could be used as change purses, or to carry lipstick, credit cards, and other small items. 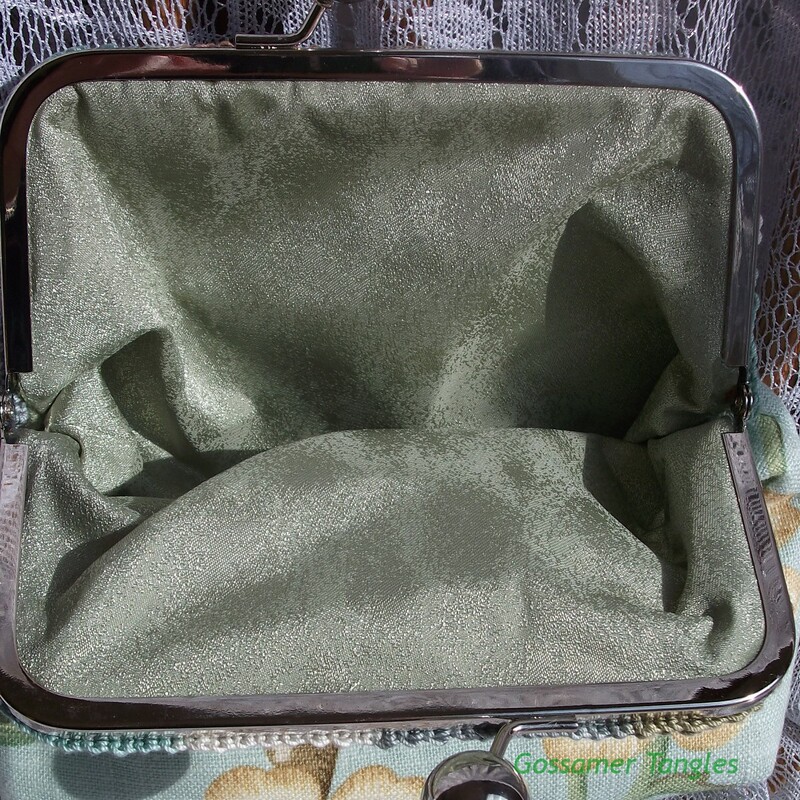 They'd be great to just stick in your coat pocket when you don't want to carry a larger bag, but need to take along a few essentials. 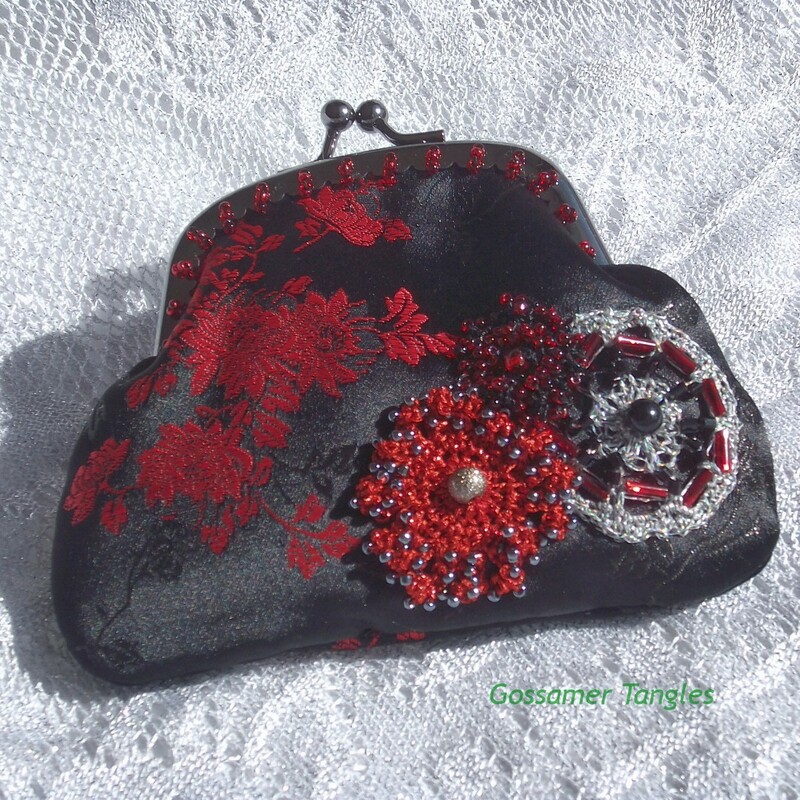 I also made one larger bag. 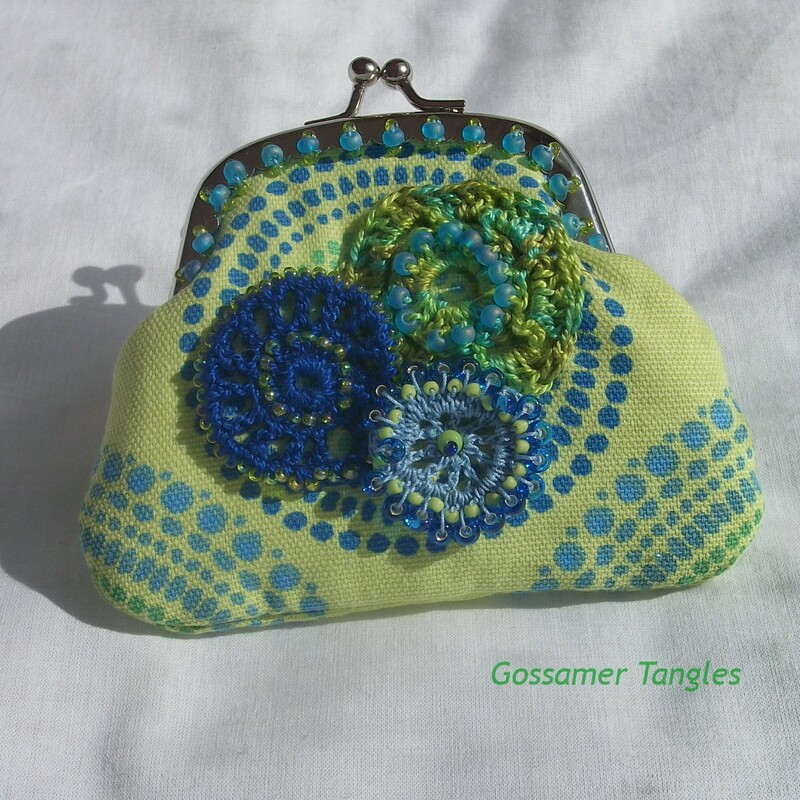 This one is perfect for spring and summer. 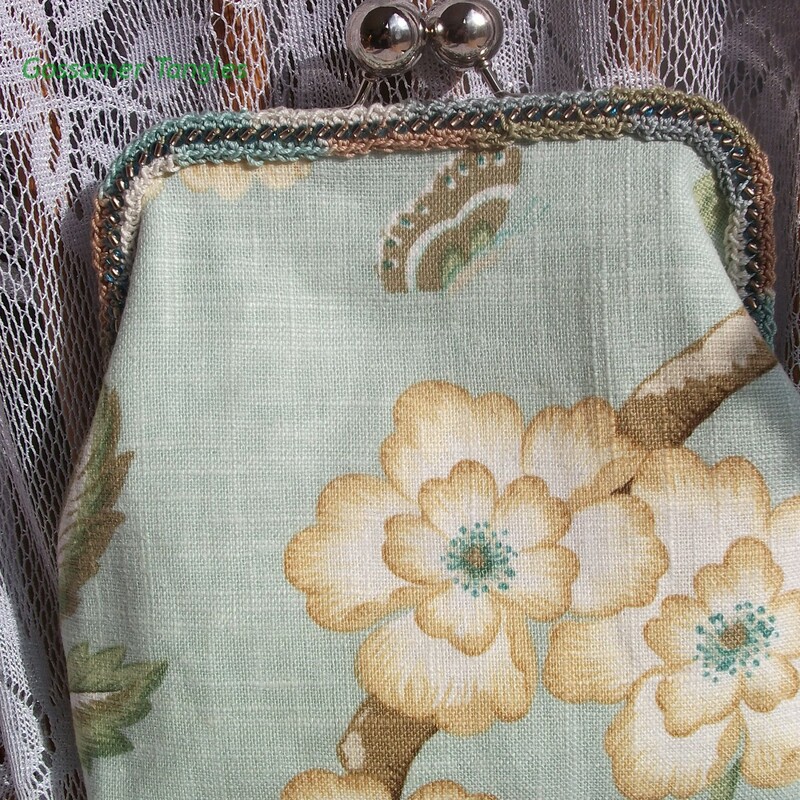 The floral print fabric reminds me of some of the fabric patterns I saw when touring historic homes in Charleston, South Carolina a few years ago. 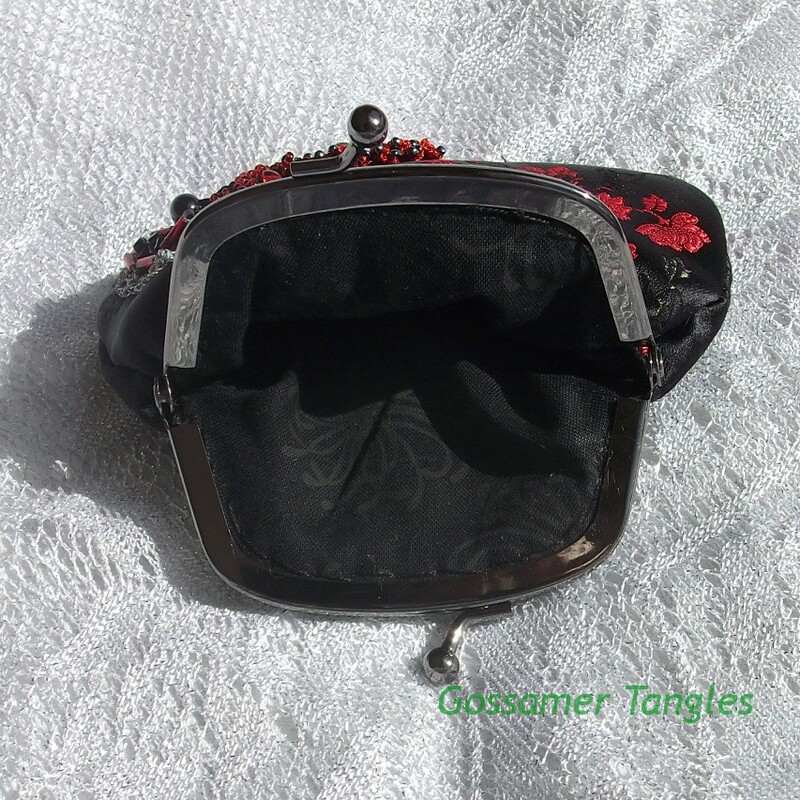 These new kiss clasp bags will be for sale at the Spring Artists' Market at Leon and Lulu in Clawson, MI this weekend - Sunday, March 10 and Monday, March 11, 2013.